Conficker Worm – It’s not just for Breakfast! 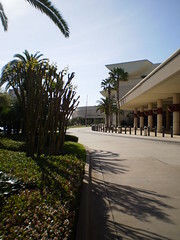 The Orange County Convention Center (OCCC) is one of the nicest conference facilities in the US. The center is well kept and the staff and their partners are the best. We have enjoyed our visit and can not wait to come back. Saturday is here and we enter “Maytag Mode”. We say that because we have been here for 8 days and setup 8 networks in 92 locations. Everything is working and now we start a new phase of monitoring the various networks and providing technical support. Luckily the NOC team has been doing this for a number of years and we have great partners. If everything goes well, we will have little to do the next few days. Hence the moniker “Maytag Mode”. Just like the TV commercials for Maytag appliances. It is not boring, but the days are long. In at 6:45AM and out after 6PM. That is if there is nothing major going on. If something comes up, we stay until its working and working right. We occupying most of our time rotating staff through all the locations throughout the network and checking on our customers and projects. When your show is only 3.5 days long, you can not wait for the call. So we hit the beat and walk a lot. It is also good for our customers as they are out of their normal element and appreciate it when we check on them throughout the day. New this year is the use of digital signs @ ACC09. Replacing paper signs, digital signs provide information on each individual education room and allows us to stream live video for just in time situations. Check out this sample in front of our ACC09 and i2 Faculty Lounge. It displays information on the room and it is real time. As the meeting goes on, it is automatically updated and the education team can tweak on the fly. Room overflow information can be displayed. When a room is overloaded or sold out, attendees can be directed to another location where they can view the meeting. Time to meet the NOC Staff. These are the folks who get stuff done. Rentsys Staff. Left to right is Miguel Checo, Chad Adelman, and Mark Buesnel. It is cool to see folks showing up. Various ACC staff, vendors, and contractors are here to do their thing. We have been busy getting a number of temporary offices setup with computer and Internet access. Our meeting planner office is setup. That is an office for 20 folks with Internet access, 10 desktops, and 10 laptops. The next big thing is the “InfoStations”. These are the Internet surf stations for attendees and there are three of them. Each one has 15 computers + 4 printers. They will be packed during the week as folks keep their life going. The Exposition Hall is mostly done. The ACC booth is roughed in and ready for computers in a few days. Other locations such as the Expo management office, laptop lounge, etc are done. We are staying at the Swan and Dolphin hotel and resort. I would say its the corporate hotel for Disney. It’s a very large resort and very nice. Still has lots of kids. The only problem is kids are loud in the AM sometimes. Not a problem. One year we brought in a ATM622 network. Ran lots of video that year. Pretty fast too! Now a days, convention and conference centers have a nice network installed and they create multiple networks for us. they are called VLAN’s or “Virtual LAN”. In our case, we worked with SmartCity Networks at OCCC and designed the following networks. Presentation Management Network. Content Delivery for Education Rooms. Internet VLAN-Pool-IT. Special Internet for IT/VPN. We bring a pair of Cisco firewalls and numerous switches in order to create an on-site network that allows our staff to easily get back to our HQ. We create a backend VPN and ready it so we can roll out services to individual offices in the center as our staff roll in. This way they are ready to roll and do not have to worry about anything IT. ACC09 is Here. The premiere cardiology event and it is setup time. My IT team handles technology projects @ ACC’s annual meeting and conference. We today we arrived on-site and took posession of our office and now we begin the build of 8 networks and 93 locations.